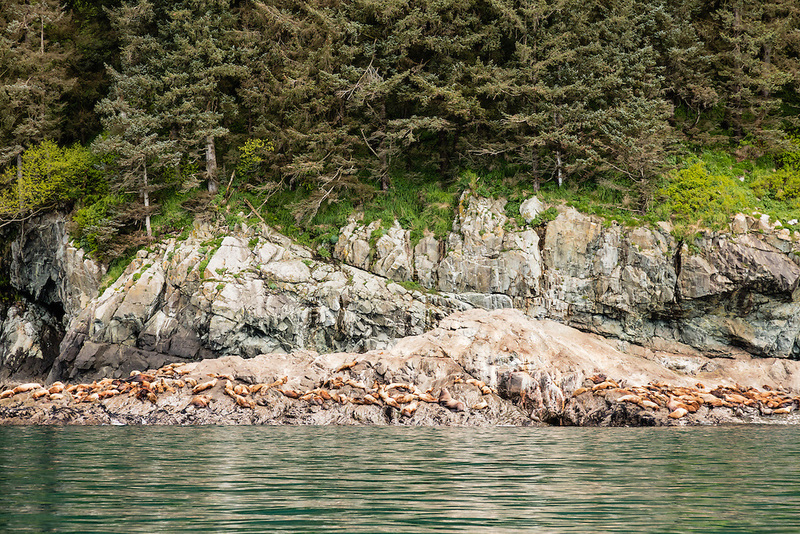 Stellar Sea Lions (Eumetopia jubatus) hauled out on a rock outcropping in Prince Willaim Sound in Southcentral Alaska. Spring. Afternoon.